In a recently published news article in the Independent; Brian Caulfield, the new chairman of the Irish Venture Capital Association is quoted as saying “Irish tech startups are facing a financial crunch that is pushing some companies to set up operations in the UK to benefit from its more benign funding regime”. This has prompted me to try and find out more about the IVCS and what they do. So who is the IVCA and what do they do? 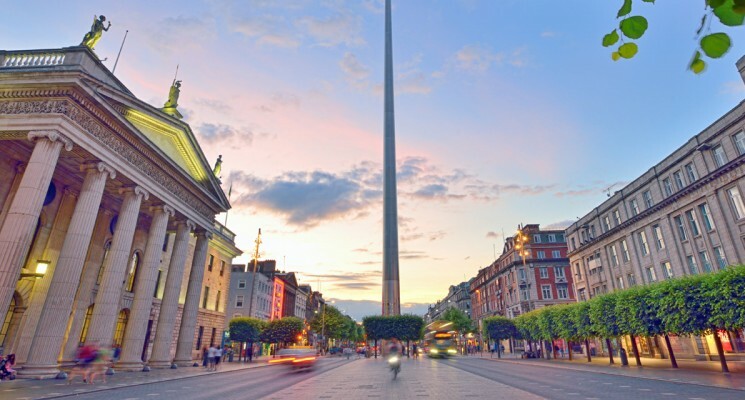 According to 2016 Global Entrepreneurship Index, Ireland is ranked 12th in the top 20 global hot spots for start-ups with a score of 65.6 (CNBC, 2015). Business angels play an important role for start-ups in providing an invaluable source of capital .This blogs discusses business angels in Ireland and HBAN (Halo Business Angels Network). Piush has talked earlier on about how to crowdfund your start up in Ireland. I will today review some of the ways to get your funding made through less-crowfunding-based institution. Is Boom for Start-Ups over in Ireland? Technology industry employs over 105,000 people in various companies. It is responsible for 40 % of national total exports of Ireland. All of the top global technological companies have a significant Irish presence and home-grown sector employs over 30,000 people with total sales of over €2 billion per annum (ireland, 2015c). Is Gig Economy, Open Source, Open Innovation the future for successful Startup? Crowdfunding is an alternative form of financing a new project. It involves raising many small amounts of money from a large number of people usually facilitated by a means of web platform. 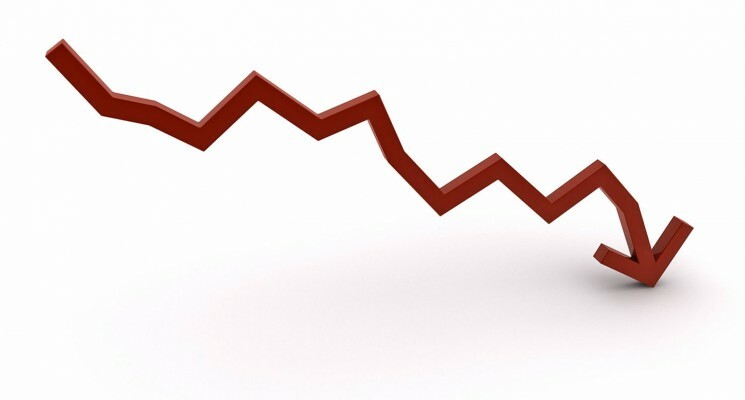 In recent years, there is a huge growth in number of websites which are used to raise capital. Apart from raising funds, it is good for engaging with market and market testing. The best performing categories in crowdfunding sites are consumer products in tech space such as video games or products (Schroter, 2014). This blog discusses some popular websites used to raise cash in ICT start-ups. It looks at the various ways a website is used to raise capital, charges various platform charges, legality of crowdfunding and some tips for a successful campaign. According to an information notice issued by Central Bank of Ireland in June 2014, crowdfunding is not a regulated activity. Therefore, Central Bank of Ireland’s codes of conduct and the protections such as Deposit Guarantee Scheme or the Investor Compensation Company doesn’t apply to the consumers .Complaints cannot be made to Financial Services Ombudsman (Ireland, 2014). As there is a lack of regulatory framework, there is a likelihood of financial abuse or scam. The unprotected risk of failure to deliver the final goods or service presents an issue as to why people are reluctant to invest in certain projects. Launched by the people who developed websites such as iDonate, iFundraise to raise money for non-profit organisations, icrowdfund is for fundraising proposals. It offers two types of fundraising. All or Nothing, in which money is solely collected from pledgers if predetermined minimum money has been vouched for. The second is “Keep it all” by which funds are awarded to a project regardless of minimum amount pledged. Rewards are submitted by project creator. Contributors receive the rewards in exchange of the amount of money pledged. 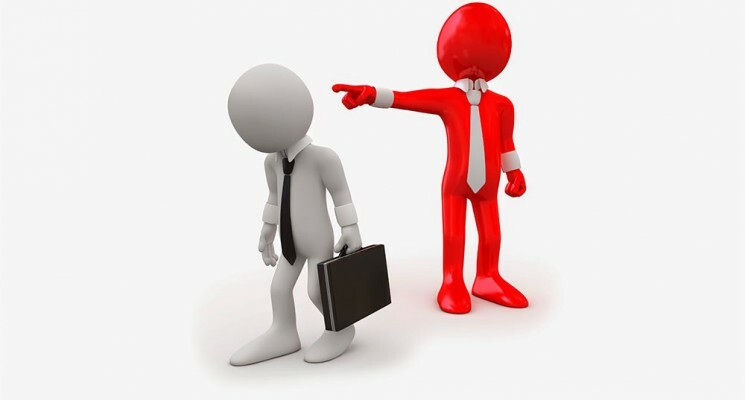 iCrowdFund also help in finding a mentor to bring experience and credibility to the project. For All or nothing, iCrowdFund charges a commission of 4% on all successful pledges. Whereas for Keep it All, they charge 6% on all processed contributions. Additional 3% plus €0.25 per transaction is deducted from total amount raised(icrowdfund, 2014). Kickstarter is a Benefit Corporation with a global community consisting of creators and backers. Creators have to use “Launch Now” feature or manual review to raise funds. However the lowest acceptance rate for a successful project to launch is in Design, Food and Technology. Creators keep 100% ownership of their work and have complete control over their creativity and creative projects. Projects can be live on the site anywhere between 1-60 days with 30 days or less is the recommended by Kickstarter. It is all or nothing funding with creators offering rewards to their backers to share a piece of their project. No one is charged till the goal is achieved. If a project is successfully funded, the fees include 5% of the total fund raised and 3% + €0.20(Kickstarter, 2015) per pledge of payment processing fees. Pledges under € 10 have a fee of 5% + € 0.05 per pledge(Kickstarter, 2015). 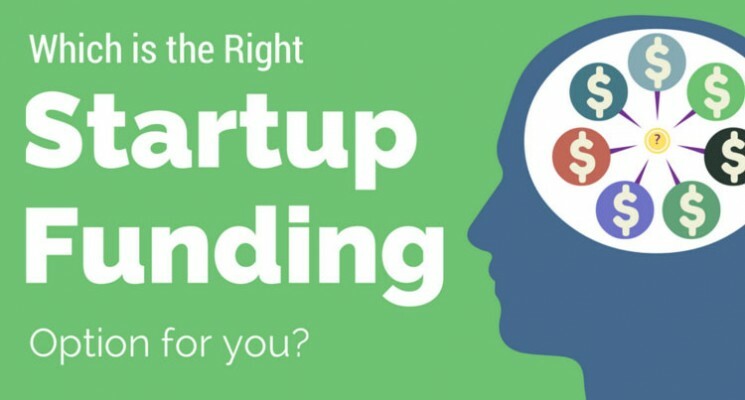 Therefore, Ireland has all three types of crowdfunding available to start-ups to raise capital. Linked finance is debt-based in which borrowers’ application is reviewed and verified and algorithm determines credit risk and interest rate. SeedsUps is equity based with investors receiving equity in return of collectively supporting efforts of an Individual or an organisation. iCrowdFund, FundIt, Kickstarter are all reward based with goals set by creators and from this backers receive rewards based on their pledges. Furthermore, the variety of products listed is varied. It can be hard to be unique and get a campaign funded. Using same network of supporters multiple times can lead to the network of being exhausted. Choice for a start-up to go for a certain platform can depend on their business model , what kind of backers are available on a platform and choice of founder to sacrifice equity/shares. It is helpful to think about backers and pick the network to match the marketing and content strategies to supporters of the project. Customization helps to suit each platform to connect with network and give regular updates.Send out tailored messages and be as personal as possible. According to Kickstarter, it is helpful to reach out to anyone who would be supportive during pre-launch to create a 20% bench mark after launch and follow up individually(Entis, 2014). It is beneficial to create a helpful media page to generate as much press and support the media enquiries. 70% of successful campaign have a video clip(businessloans, 2015). It gives the visitors of the site a better idea of project. They should be good quality given time, resources and expertise. Tell a compelling story and share enthusiasm to attract people’s support. Building interest before closing the deal conveys the message that the project is fully though out and the creator knows what they are doing. Backers invest in return of something rewarding. As suggested by Kickstarter, offer lots of smaller rewards with most popular pledge amounts to be $25 and average pledge at $70(Entis, 2014). Therefore have rewards to please the backers who cannot afford steeper pledges. A realistic plan and goal of the crowdfunding campaign is essential. Do as much research as possible and dedicate a planning period of 3 to 4 months before the launch. Managing budget is as important as raising capital. According to Scott Purcell, author of The Definitive Guide to Equity Debt and Crowd Funding, pre-raising 5% – 35% of your goal prior to launch gives a success of 80% to 100%(ADERS, 2014). This helps to promote the campaign from first day. Big goals projects usually have big marketing budget to make it appear as a project gone viral. Therefore, a creator has to be creative to aim to get 6:1 return on advert spend(ADERS, 2014). To ensure there is enough to fund the project it is helpful to add charges to the required funding goal. Success of any campaign is directly related to the amount of hard work which is put in by the creator. Right from prelaunch, creator has to invest time and effort to make a campaign achieve its funding goal. Challenges faced are daunting and must be addressed early on. Also, seeking help from a person who has been through the process is beneficial. Hopefully these tips can help in increasing the success of a campaign to reach the funding goals of a company. It requires a lot of hard work and planning with clear objectives and an emotional connection with public. ADERS, A. 2014. 5 Insider Tips for Successful Crowd Funding [Online]. inc.com. Available: http://www.inc.com/aaron-aders/5-insider-tips-for-successful-crowd-funding.html [Accessed 31/10 2015]. Available: http://www.matheson.com/images/uploads/documents/Crowfunding_Regulation_Irish_chapter.PDF [Accessed 31/10 2015]. BUSINESSLOANS. 2015. 8 Must-Know Stats About Crowdfunding in 2015 [Online]. businessloans. Available: 8 Must-Know Stats About Crowdfunding in 2015 [Accessed 31/10 2015]. COYNE, P. 2014. 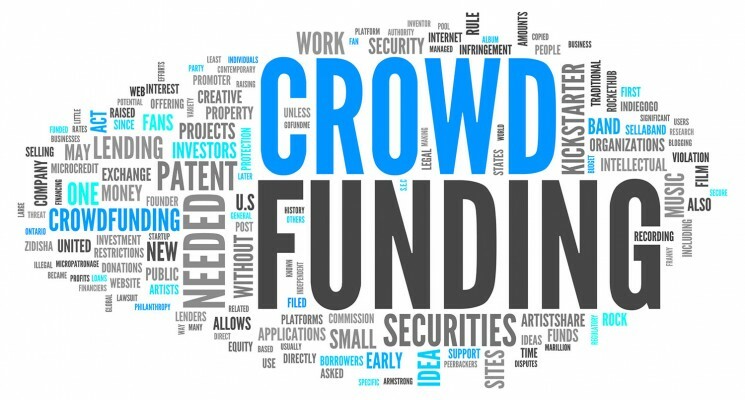 Equity Crowdfunding in Ireland – Philip Lee Solicitors [Online]. http://www.icrowdfund.ie. Available: https://www.icrowdfund.ie/equity-crowdfunding-in-ireland/ [Accessed 31/10 2015]. ENTIS, L. 2014. 6 Tips From Kickstarter on How to Run a Successful Crowdfunding Campaign [Online]. entrepreneur. Available: http://www.entrepreneur.com/article/234707 [Accessed 31/10 2015]. Available: https://www.linkedfinance.com/business-loans/investment/howcrowdfundingworks.html#lend2 [Accessed 31/10 2015]. FUNDIT. 2015. FAQ [Online]. fundit. Available: http://fundit.ie/info/faq/ [Accessed 31/10 2015]. ICROWDFUND. 2014. FAQ [Online]. icrowdfund. Available: https://www.icrowdfund.ie/faq/ [Accessed 31/10 2015]. IGNITIONDECK. 2015. 10 Secrets of Highly Successful Crowdfunding Campaigns [Online]. ignitiondeck. Available: http://ignitiondeck.com/id/10-crowdfunding-secrets/ [Accessed 31/10 2015]. IRELAND, C. B. O. 2014. Consumer Notice on Crowdfunding, including Peer-to-Peer Lending [Online]. centralbank.ie. Available: https://www.centralbank.ie/press-area/press-releases/Pages/ConsumerNoticeCrowdfunding.aspx [Accessed 31/10 2015]. KICKSTARTER. 2015. Fees for Ireland [Online]. Kickstarter. Available: https://www.kickstarter.com/help/fees [Accessed 31/10 2015]. SCHROTER, W. 2014. Top 10 Business Crowdfunding Campaigns Of All Time [Online]. Forbes. Available: http://www.forbes.com/sites/wilschroter/2014/04/16/top-10-business-crowdfunding-campaigns-of-all-time/ [Accessed 31/10 2015]. SEEDUPS. 2015. Frequently Asked Questions – Startups [Online]. seedups. Available: https://www.seedups.ie/about/faq/entrepreneur.html#tabs-1 [Accessed 31/10 2015].